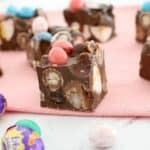 A simple Thermomix Easter Egg Slice filled with yummy chocolate Easter eggs… and it’s completely no-bake!! 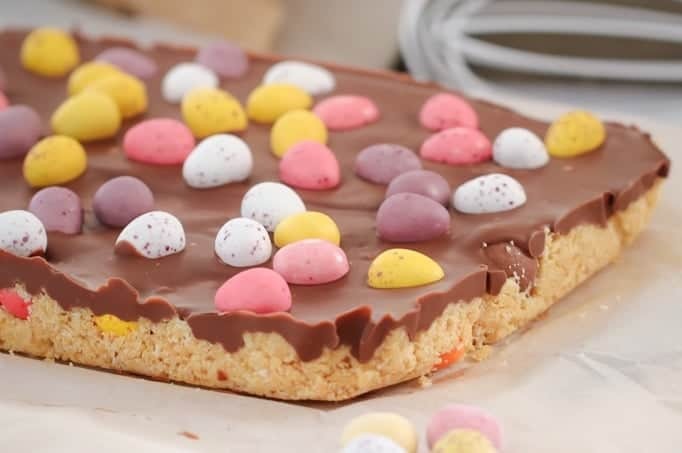 Now that Easter isn’t far away, it’s time to get started with some chocolate-filled baking. Whoop whoop!! 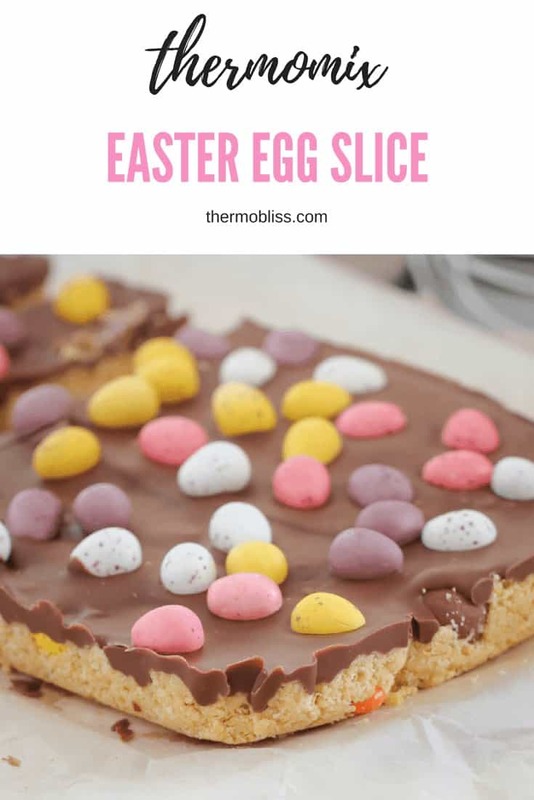 Although, while there’s chocolate involved in this recipe, there’s absolutely no baking happening… because here at ThermoBliss we LOVE no-bake recipes. 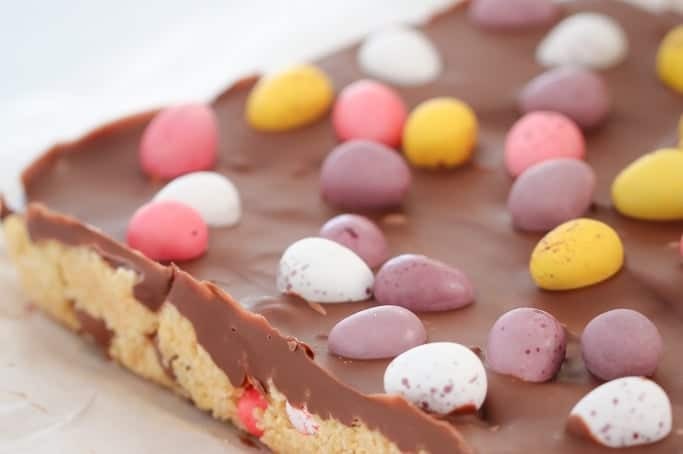 This Thermomix Easter Egg Slice has a super simple biscuit base scattered with your favourite chocolate Easter eggs, then topped with a layer of milk chocolate and sprinkled with even more Easter eggs… because you can never, ever have too much chocolate!!! Super naughty but oh-so-good!! 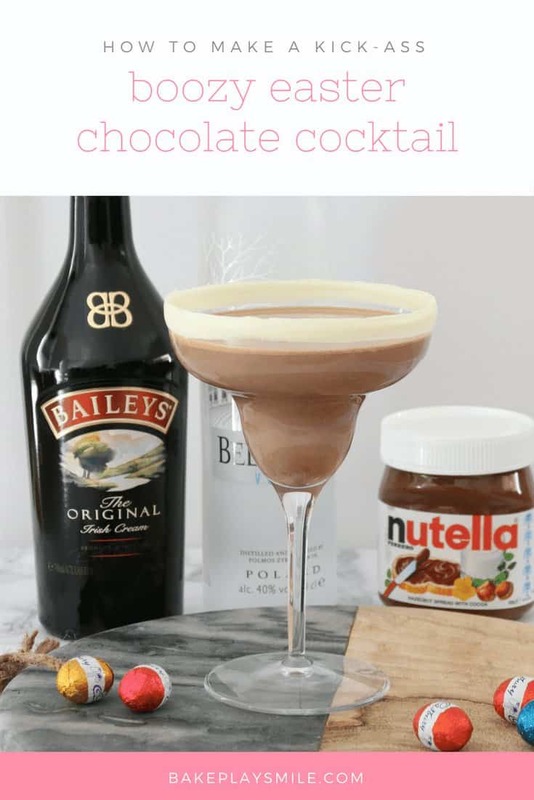 This yummy cocktail is made with Nutella, Baileys, vodka, milk… and a mini chocolate Easter egg! 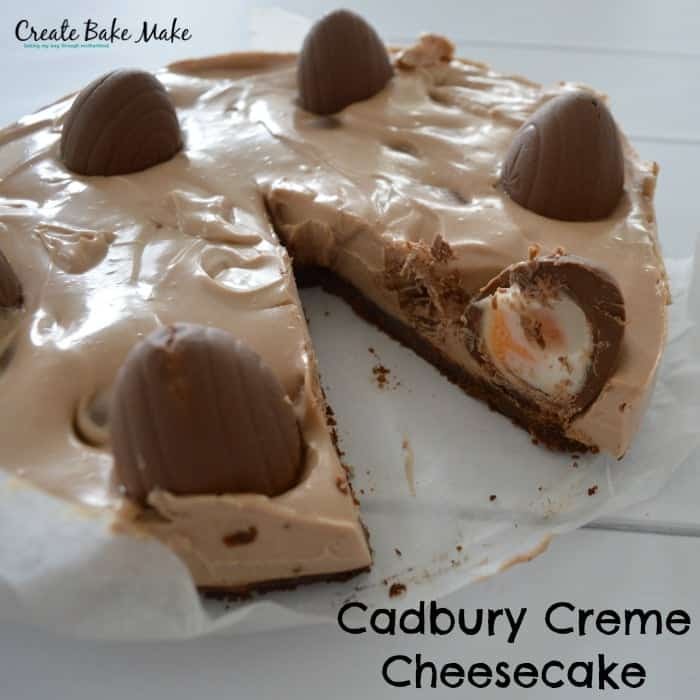 The perfect cheesecake to give your Easter table the WOW factor! 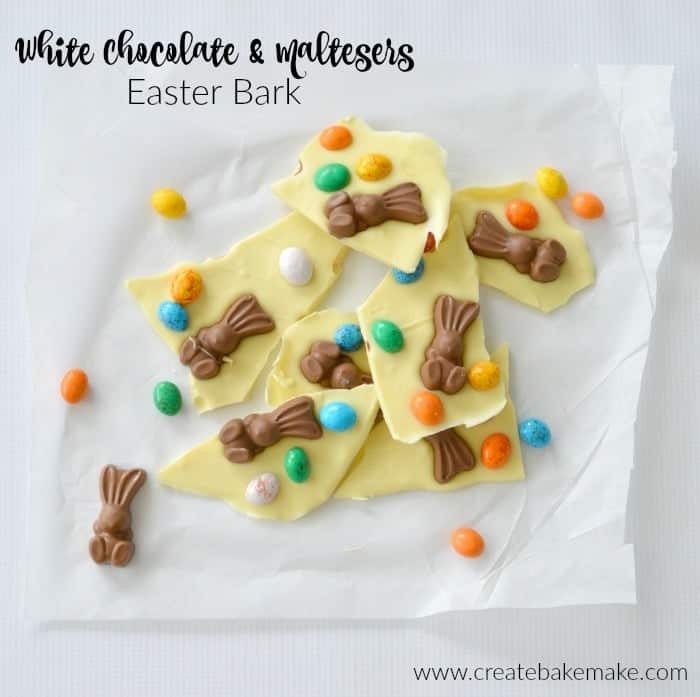 A quick and easy Easter version of a classic favourite! 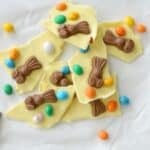 A perfect recipe to make with the kids this Easter! 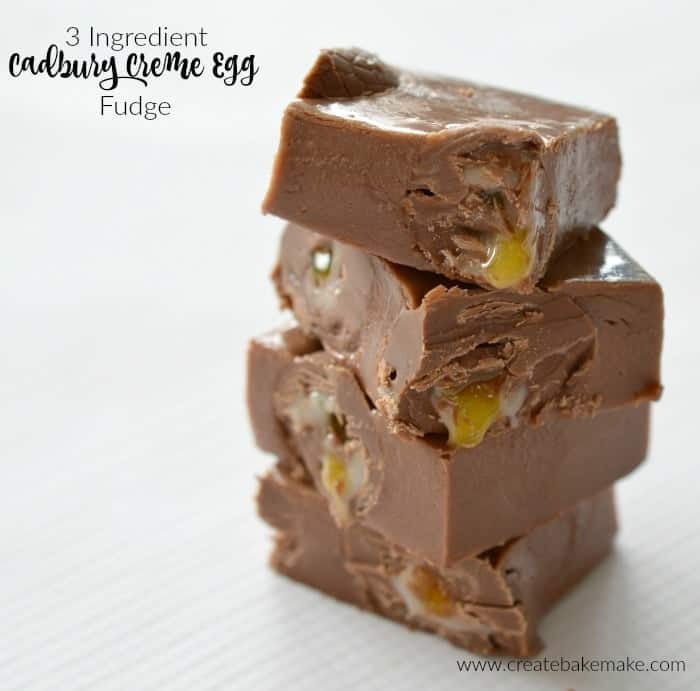 Hello Creme Egg fans! 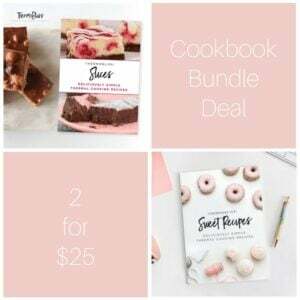 You’re going to fall head over heels in love with this simple recipe! 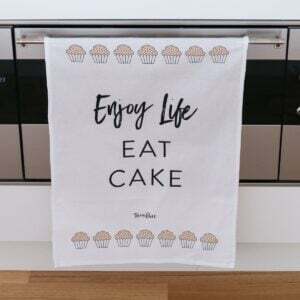 It’s cute, it’s quick and it’s easy!! 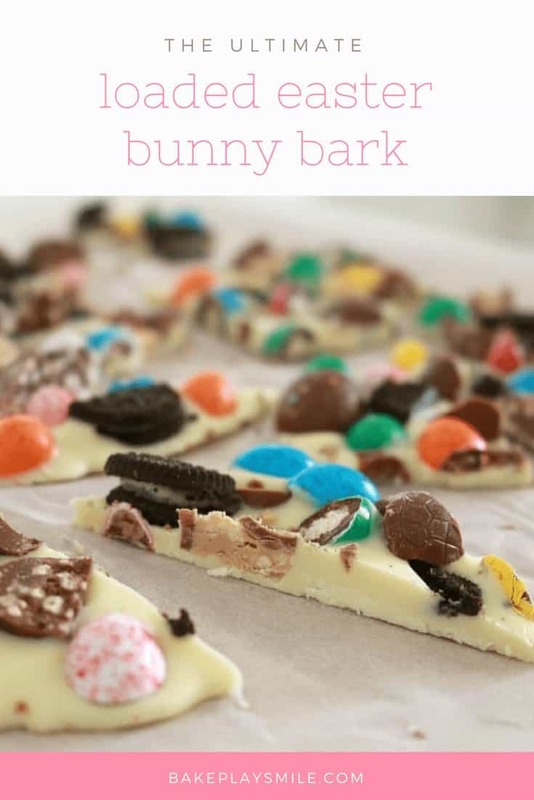 Why not leave out a slice or two for the Easter bunny. Grease and line a 22cm X 32cm rectangular slice tin with baking paper. Melt butter in the Thermomix on Speed 2, 80 degrees, 2 minutes (or until melted). Add the condensed milk and mix on Speed 3, 10 seconds. Scrape down the sides of the bowl. Add the coconut and crushed biscuits and mix on Speed 4, 10 seconds. Scrape down the sides of the bowl and repeat for a further 5 seconds. 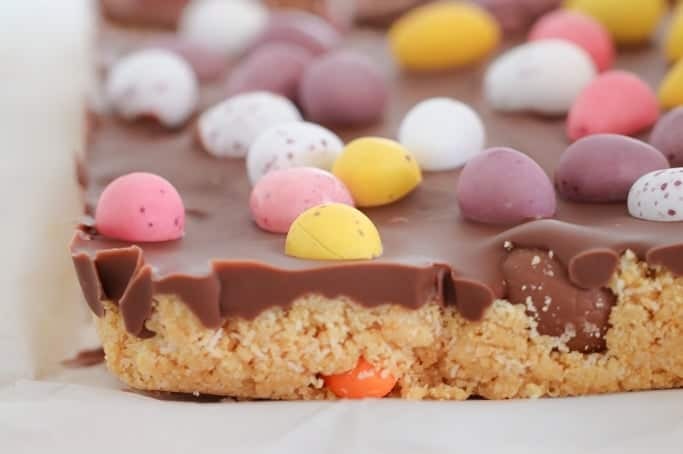 If your mixture is too crumbly, add a little more condensed milk and mix again for 5 seconds. Add the mini Easter eggs and stir through with the spatula. 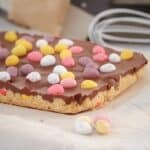 Spoon the mixture into the prepared tray and press down firmly with a spoon. 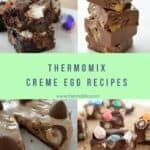 Melt the chocolate in a clean and dry Thermomix bowl on Speed 2, 60 degrees, 3 minutes (or until melted). 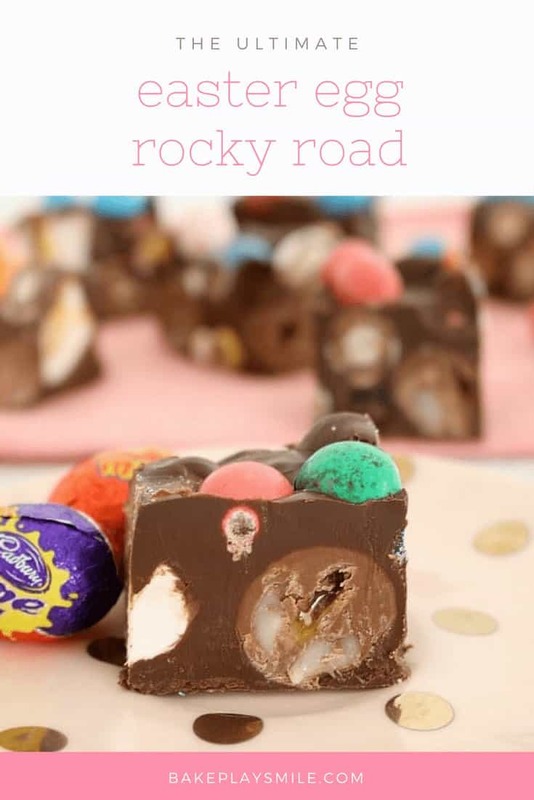 Pour the melted chocolate over the top and decorate with extra mini Easter eggs. 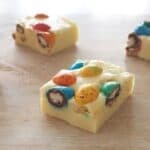 Place into the fridge for 4-5 hours (overnight is best). Take out of the fridge 20 minutes before cutting into slices (this makes it easier to cut). 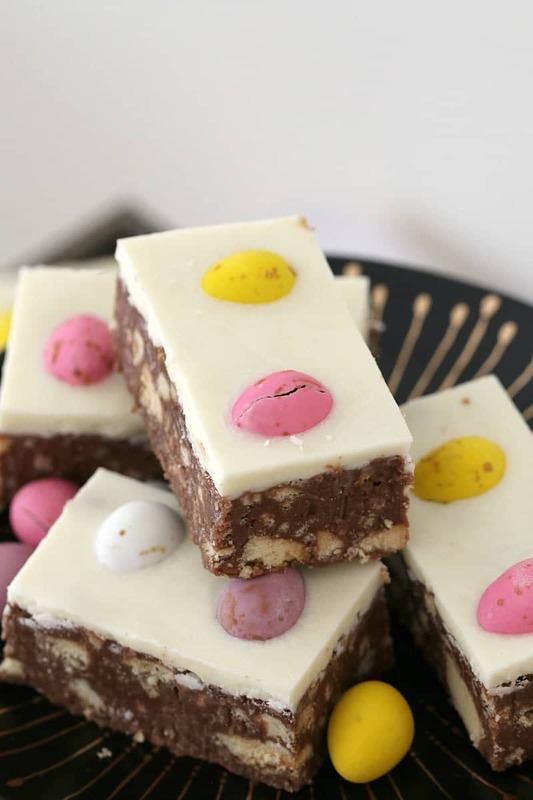 You can leave the mini Easter eggs whole or chop them into smaller pieces (please note that roughly chopping them will make the slice easier to cut).